My first memories of eczema involve sleeping in white cotton gloves from the drugstore. Starting at just five years old, my mom would meticulously slather my itchy, inflamed hands in Aquaphor every winter night and bundle them up in moisturizing gloves to keep the thick ointment in place while I slept. As I've gotten older, my approach to eczema care has gotten a bit more refined. After grade school, it disappeared from my hands and took up residence on my elbows, which seared and itched so badly that I finally went to the dermatologist for prescription-grade steroid cream (which worked like a dream). Now, in my late 20s, I'm getting small patches of eczema on my face (primarily my chin and cheeks). After a bit of online research, I determined that it was most likely triggered by the cold weather (which has always been an irritant for me) as well as my newfound affinity for potent, anti-aging skincare products, which are often loaded with effective but potentially irritating ingredients like retinol, lactic acid, glycolic acid, and salicylic acid. Dermatologist Jessica Wu, MD, an assistant clinical professor of dermatology at the University of Southern California, confirmed my suspicions. "One frustration about adult eczema is that it's usually front and center on the face and neck," she told Everyday Health. 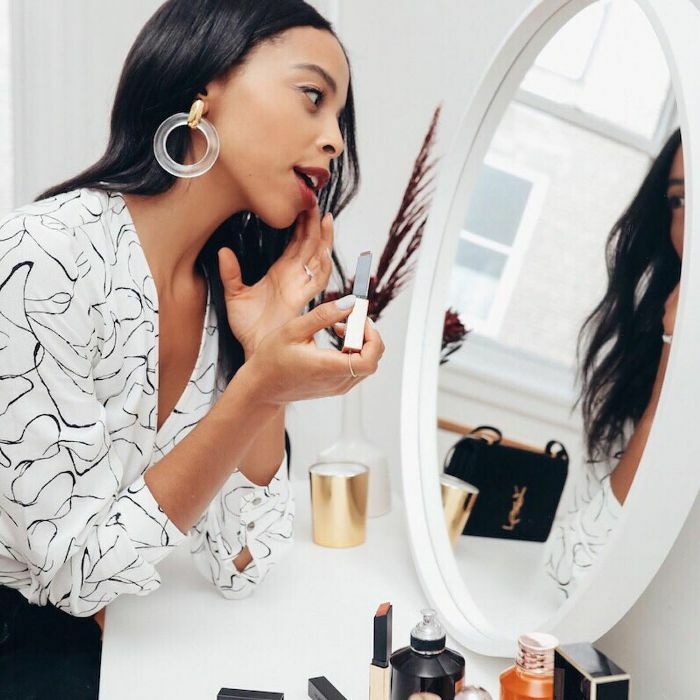 “The skin on the face is thinner than elsewhere on the body, so it's more sensitive," she explains, adding that eczema breakouts in this area can be triggered by cosmetic or skincare products. Sure enough, glycolic acid, salicylic acid, retinol, any harsh fragrances, and preservatives like methylparaben or butylparaben top WebMD's list of skincare ingredients to avoid if you have eczema. Seconds after reading the WebMD list (and countless others), I made a beeline for my favorite anti-aging skincare products of the moment. To my dismay, they were loaded with the aforementioned ingredients. The only silver lining was that I was finally able to identify the trigger behind my recent flare-up—I always noticed the itchy patches on my face the morning after sleeping in one of these potent anti-aging serums. I then turned my attention to my skincare-stocked medicine cabinet to continue my witch hunt. After scanning the ingredient list of each and every product, I reluctantly placed 10 or so cleansers, toners, and serums into my newfound "do not use" pile, some of which were brand-new. I resolved to keep them there until the flare-up subsided, the weather turned warmer, and I made an appointment with my dermatologist. Considering my familiarity with eczema, I had a clue as to how I should move forward with my skincare routine. Though I was open to adding non-irritating, dermatologist-approved brands like Aveeno, Aquaphor, Cetaphil, CeraVe, and Eucerin back into my regimen, the thought of never touching any of my high-end products again felt unrealistic (especially considering my unabated concern with aging and the money I'd already invested into these products). Instead of cutting them out altogether, I've been gradually testing the non-irritating products in my existing skincare arsenal. Soothing, moisturizing ingredients like hyaluronic acid, niacinamide, shea butter, glycerin, and lanolin all landed on my okay to use list, as long as I proceeded with caution. While the hero product through all of this has unquestionably been the gentler steroid cream that I got from my dermatologist, I've landed on a good high-low mix of products that soothe my eczema and combat signs of aging (without irritating my skin). Read up on my picks below. I've been a fan of Olay's Regenerist line for ages—it's non-comedogenic (so it doesn't make me break out), and it successfully diminishes the look of fine lines and wrinkles. I love the new Whip version, which is a lighter cream-to-liquid formulation that's not quite as heavy as the original. Most importantly, I know I can use this twice a day and my skin will never have a negative reaction of any kind. 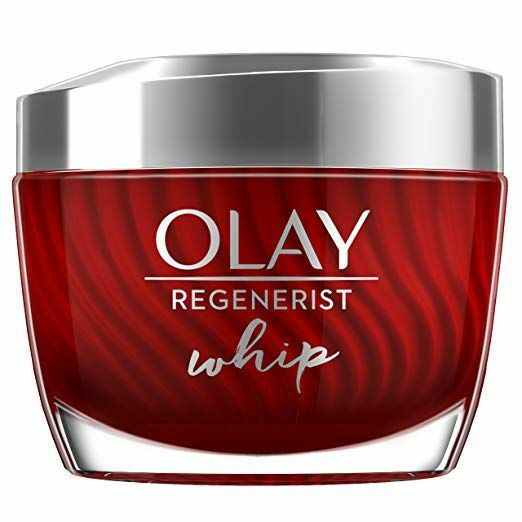 I've been mixing Olay Regenerist Whip with a dab of Neutrogena's new hydro boost hyaluronic acid water gel for added moisture, and I'm loving the combination. 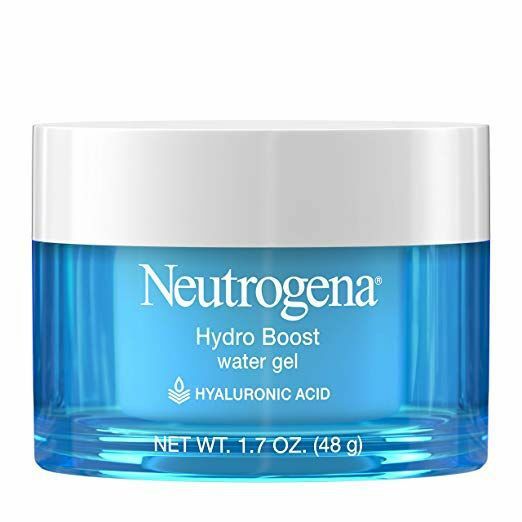 I read that hyaluronic acid can actually help dry, eczema-prone skin by improving the skin's moisture barrier, so I've been adding it wherever I can. It's also non-comedogenic and 100% alcohol free. 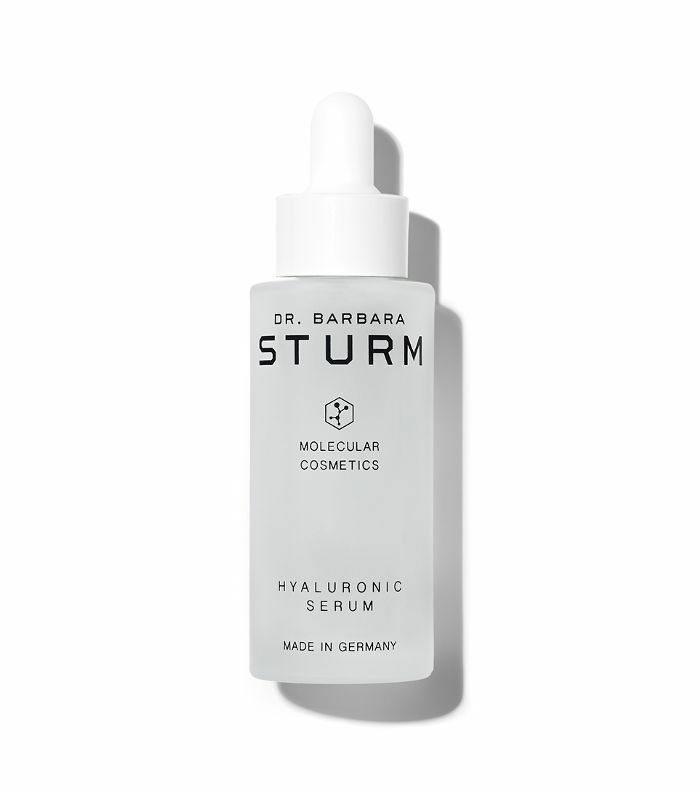 For a more potent dose of hyaluronic acid, I've been using Dr. Barbara Sturm's hyaluronic serum roughly once a week before bed. I was a bit apprehensive about trying this line because it's considerably stronger than the drugstore products (which it should be, at $300 a bottle), but I'm pleased to report that it doesn't irritate my skin whatsoever. It's packed with highly concentrated long- and short-chain hyaluronic molecules that deliver a dose of intensive hydration to the skin, meaning it's a powerful anti-aging product as well as a humectant. Plus, it's free of sulfates, parabens, silicones, and perfumes. 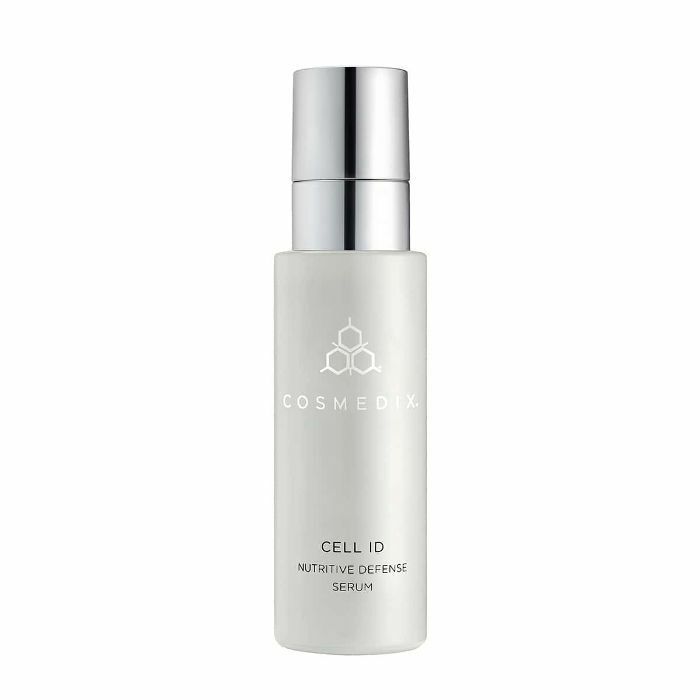 Cosmedix's Cell ID serum is formulated with niacinamide, a form of vitamin B3 that improves skin's elasticity, enhances barrier function, helps erase discoloration, and revives skin tone and texture. In other words, it's an anti-aging powerhouse without all of the harsh ingredients that can irritate sensitive skin. It's helped even out my skin tone and fade dark spots without provoking acne or eczema. 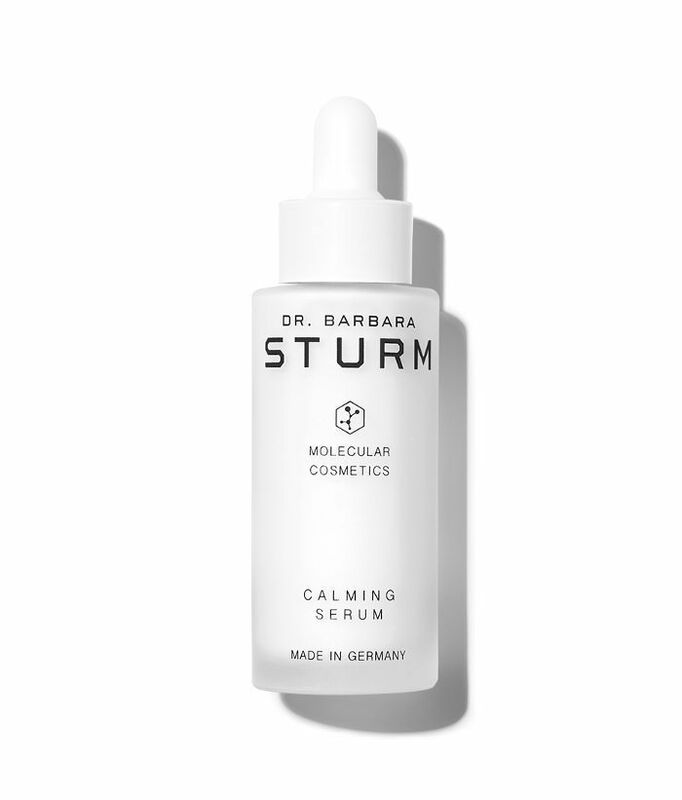 I've been using Dr. Barabara Sturm's calming serum as another luxurious add-on roughly once a week. It contains active plant-based ingredients like cardiospermum, echium, sunflower, and purslane too soothe sensitive skin and ease redness and irritation. It has a satisfying milky color and texture that feels incredibly calming and rejuvenating. Like her other products, it's also formulated without sulfates, parabens, silicone, or perfumes. Next up: Stores can't keep this $30 eczema-healing lotion on the shelves.